Being unemployed is stressful and sometimes the unemployment benefits process can add to that stress. It can be difficult to get through to the unemployment office to get help with your questions or resolve issues with your claims. One unemployed person recalled, "I had to call more than 20 times to get through to my state unemployment office! I just sat there in front of the TV and called over and over." 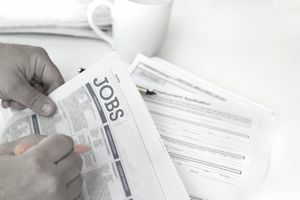 Below are answers to some frequently asked questions on unemployment claim issues that will help you collect unemployment benefits and handle glitches in the process. There are several reasons that your unemployment benefits could have stopped. The simplest explanation is that you have used up all the benefits available to you. Benefits vary by state, so unemployment compensation differs based on your location and your individual claim. There could also be an issue with your claim. Shahrzad Arasteh, founder of Career Consulting Services, notes that when she worked for a nonprofit workforce development organization, some of her clients would share that their checks had unexpectedly stopped. In some cases, she learned they had answered "No" to the question of whether they were actively searching for a job, causing the unemployment insurance (UI) claim to be flagged and their check stopped. She notes that working with a career counselor or career development agency may have met the job-search requirement, but clients either did not know this or did not know what would happen if they answered no. If your benefits have stopped and you are unsure why, you should check with your state unemployment office for clarification, which brings us to our next question. I Can't Get a Hold of Anyone at the Unemployment Office. What Should I Do? Scott Barer, a labor and employment attorney in California, has one word for anyone trying to contact an unemployment office: tenacity. "Sometimes it takes visits to the local office," says Barer. "Sometimes it takes interminable waits on the phone. Sometimes it takes working your way up the chain of command. It almost always takes tenacity." One of his clients was denied a claim for unemployment benefits. After going down to the unemployment office handling her claim and asking to meet with a representative, things seemed to go much smoother. She was even given an "inside" phone number so she could reach a "live person" rather than being stuck on "perma-hold." He also notes that once they prevailed at the appeal, her benefits were paid back to the date of her original application. What if the Person I Talk to Can't Answer My Question? Even once you reach someone in the unemployment office, it's possible they will not have the answers to the questions you are asking. Don't give up. If you can't get the answer you want, Arasteh recommends asking to speak with a supervisor or someone who reviews cases. If the supervisor is not there, leave your number and ask that they call you back. If you don't hear from them in a day or two, go back to the office. It may also be a good idea to ask an employee there when the supervisor will be in next, so you can wait or come back at a better time. If you still can't get the answers you're looking for, Arasteh suggests getting in touch with someone at your state's department of labor, explaining your issue and asking for help with resolving it. The unemployment benefits claims process can be frustrating at a time when more frustration is the last thing you need in your life. But patience and persistence will pay off - literally.